British cars are also well represented amongst the debutantes, including the MG Car Club’s Young Members Group. Highlights of the Group’s stand include an MGB GT in daily use, a barn find MGA Coupe, and an MG ZT-T in concours condition. And be sure to visit the 1100 Club which will be showcasing maintenance and restoration work alongside fascinating technical displays. For more Britishness, the Rover Coupe Owners Club is marking 20 years since the end of Coupe production and 30 years since the launch of the R8 platform that underpinned the stylish sports car. A very early, pre-release press car is a highlight of the stand and restoration work will begin at the show. With numerous Vauxhall anniversaries to be celebrated - including 30 years of the Calibra coupe - visitors should head to the Vauxhall Bedford Opel Association stand. German marques are well represented, too, with the Quattro Owners Club displaying the first ever UK model that requires restoration. Visitors to the Scirocco Register stand can enjoy the 45thanniversary of the Mk 1 model and admire one of the earliest cars in existence, a 1974 Scirocco TS. 2019 Practical Classics Classic Car & Restoration Show, with Discovery, is set to be a record breaker as it will be the biggest yet! 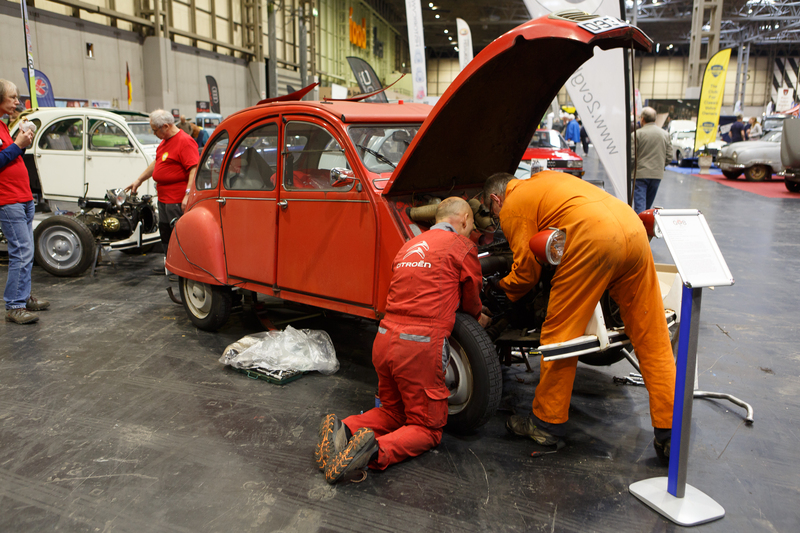 Another hall is being added, increasing the show by 20 per cent, to provide more space for new classic car clubs and those clubs who want to do more live working at the show. Some 175 clubs will attend the three day event and13 clubs appearing are making their spring debut at the show.